Every coffee connoisseur knows that freshly-ground coffee beans and a good brand of coffee maker equals a perfect cup of your favorite drink. Your choice of coffee sweetener alternative can also add to the quality of your coffee. But, how healthy is your favorite sweetener? Many Americans are increasingly consuming sweeteners in food and beverages. According to Science Daily, 41% of adults and 25% of children in America consume low calorie sweeteners such as sucralose, aspartame and saccharin. Also known as artificial sweeteners, non-nutritive sweeteners, high-intensity sweeteners, and sugar substitutes, the low-calorie sweeteners are popular for their intense sweetness and low-calorie content. 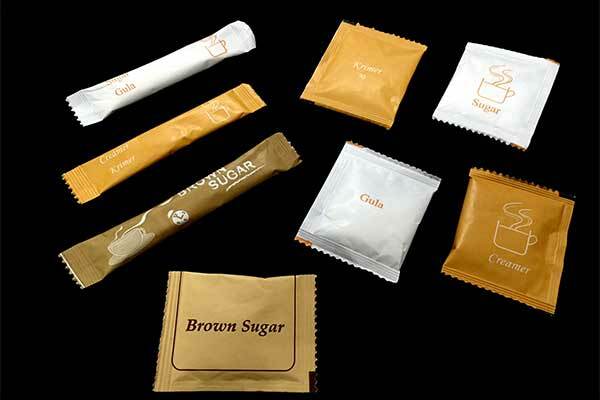 Sweeteners are hundreds to thousands times sweeter than sugar. Various studies have associated sweeteners with varied health benefits, including weight loss. Together with their intense sweetening power, it makes sense why more people are opting for low-calorie sweeteners as substitutes of sugar. Find out if your favorite sweetener is ugly, good or bad enough to help you enjoy your cup of coffee without putting your health at risk. High-fructose corn syrup and artificial sweeteners have the most negative effects on your health. With many products containing high-fructose corn syrup, you’ll be surprised to find out about its negative impact on health. You’ll find it even in foods marketed as sweetener-free. Corn stalks undergo an intensive chemical process to produce corn syrup rich in fructose. The syrup isn’t digested once it gets into your digestive system due to its chemical makeup. Therefore, it’s fast absorbed into your bloodstream. The result is insulin spikes in your blood, leading to various hormonal problems. For instance, you can develop leptin resistance, a condition associated with resistance to weight loss and increase in weight gain. 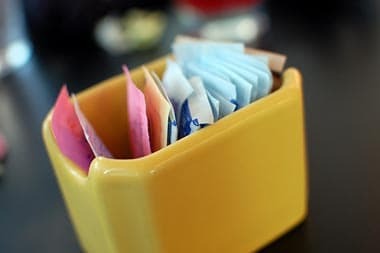 Various studies have associated artificial sweeteners with certain health problems such as irritable bowel diseases (ulcerative colitis and Crohn’s) and weakening of the microbiome, the good gut bacteria. The chemical-based sweeteners alter your gut’s microbiome bacterial makeup. As a result, you risk developing autoimmune problems such as metabolic disorders and diabetes. Bad sugars aren’t as worse as the ugly sugars, but still have a detrimental effect on your health. They include brown rice syrup, raw cane sugar (turbinado) and agave nectar. Enzymes and brown rice are chemically-processed to produce a syrup. During fermentation, the starch in the rice is broken down into simple sugars for easy digestion. The resulting substances is then boiled to form the syrup. Different types of enzymes are used in the fermentation process, but the most common are barley enzymes. Unlike other enzymes, they contain gluten. That means if you’re sensitive to gluten, you risk developing certain health problems such as gluten intolerance. In turn, extreme intolerance to gluten could lead to celiac disease. On the other hand, rice contains arsenic, a component that can easily increase in amount. Organic brown rice syrup, often used to substitute high-fructose corn syrup, has high levels of arsenic. Avoid or limit brown rice syrup usage to reduce exposure to the arsenic toxin. Also known as turbinado, ‘raw’ cane sugar is processed to eliminate impurities. In the process, nutrients are also lost. It isn’t as refined as white sugar, but no good for your health. The sweetener doesn’t raise your blood sugar fast. That sees it rank low on the glycemic index. As a result, it’s often used as a healthy alternative to sugar. It’s rich in fructose that has long-term effects on your health. Eventually, your body breaks down fructose into glycogen, fats, glucose and lactate in your liver. The effect of stress on your liver can cause fatty liver disease or insulin resistance. Good sweeteners are healthy because they have minimal to no negative impacts on your health. Additionally, they have been proven to have so many health benefits that you’ll want to consume them daily, and not just in your coffee. Raw, unpasteurized and unfiltered honey is a perfect sweetener for your coffee. 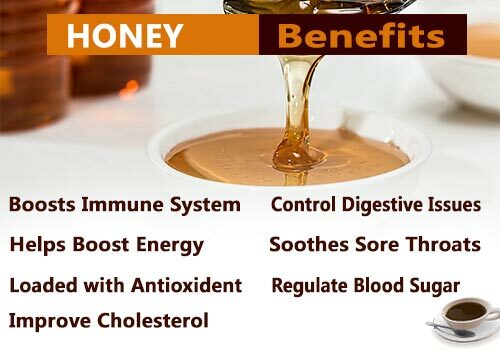 Honey has many health benefits apart from sweetening your life. Rich in powerful antioxidants such as polyphenols, it helps fight cancer and improve your general heart health. The bee pollen in this sweetener boosts your immune system to help fight all kinds of diseases. Find the best raw honey with high nutritional content and intense microbial properties for better health. Make sure it’s better than regular raw honey. Honey is best used with hot coffee so it dissolves well into your drink. Wildflower honey is recommended for sweetening coffee due to its stronger flavor. Dates can be pureed, dried or eaten raw. You can add puree dates in a number of recipes. They’re also rich in fructose, meaning your consumption should be as low as possible. Are you struggling with constipation? Dates can improve your beneficial microbe growth and thus your general gut health due to its high fiber content. You can easily make date syrup at home. Soak pitted dates for at least an hour then blend it to make dates syrup to sweeten your coffee. You’ll also get iron, fiber, calcium and magnesium in your sweet cup of coffee. Raw sugar is boiled to remove sucrose, resulting in a thick syrup known as molasses. It’s further processed thrice to eliminate remaining traces of sucrose. The result is a thicker, nutrient-rich syrup known as blackstrap molasses. Unlike other sweeteners, blackstrap molasses is rich in iron. It can improve your red blood cells count and fight fatigue. Boil sugar cane juice in a pot until it turns into a thick, sticky, dark syrup. Add one teaspoon full in your coffee for its bittersweet flavor. Stir and enjoy your cup of sweet coffee. 100% pure organic maple syrup is rich in minerals such as polyphenols and zinc. 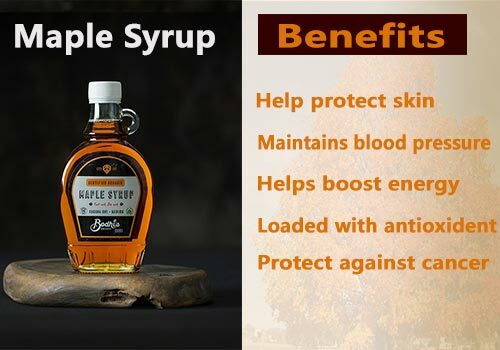 The antioxidants, polyphenols, give the syrup its anti-inflammatory properties to help remove free radicals from your body and fight cancerous cells. Maple syrup undergoes minimal processing, meaning it’s organic and safe for your health. Filled with up to 24 different antioxidants, you won’t want to overlook this sweetener. What’s more, the darker the syrup, the more healthy nutrients it packs. I’m sure you’ll love a taste of maple syrup in your aromatic coffee for even better flavor. Maple syrup is best used with white coffee. It can dissolve easily in your coffee and gives it a smooth taste. Whether you’re making mocha, espresso or latte coffee, you’ll be in for a special cozy treat. Add some cinnamon or cardamom to spice it up. 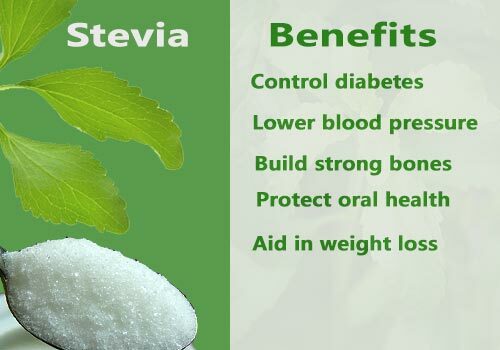 Stevia is a zero-calorie natural sweetener with low glycemic content. It grows naturally in Latin America’s tropical climate and has been used for centuries as an organic sweetener. Stevia contains glycosides, mainly rebaudioside (450 times as sweet as sugar and has less bitter after-taste) and stevioside. Opt for green stevia that’s raw and organic to get a natural sweeter with zero calories and low glycemic levels. Avoid processed and bleached stevia brands that’d expose you to toxins and chemicals. They often contain additives and preservatives you wouldn’t want to end up in your body system. According to various studies, stevia has contraceptive properties and can reduce fertility. Due to its impact on hormones, it can also alter your taste buds. You wouldn’t want your favorite cup of coffee to taste like bitter soda. However, there’s no cause for alarm because more research needs to be done in this area. What you should do is consume stevia in moderation. When shopping for stevia, look out for terms such as ‘green leaf stevia’ (least processed), and ‘whole stevia leaf’ (without natural flavors, cellulose powder, erythritol or agave insulin as other ingredients). Also make sure your choice is GMO-free and organic without additional fillers on the list of ingredients. Opt for unprocessed stevia-free foods to enjoy their authentic taste. You’ll find stevia in drops, packets and plant form. Choose accordingly, but I would recommend drops for your coffee drink because it’ll blend in well with it. Note that fruit juice and 100% pure organic stevia are the healthiest and best sweeteners dietitians often recommend. Sprinkle a little powdered stevia or dip a leaf of stevia in your coffee to enjoy its sweet taste. You can also add a splash or drop of stevia syrup to sweeten your coffee. It’s three hundred times sweeter and healthier than refined or white sugar. Anything you consume in excess is harmful for your health. That’s why even the healthiest of sweeteners must be taken in moderation. However, your coffee doesn’t have to taste sweet for you to enjoy it. After all, your health comes first before the added sweetness of your cup of coffee. So, challenge yourself to break your habit and addiction to sweeteners. Reduce the amount of sweetener you consume in a year, month, week and day by at least a tablespoon, over time. Halve the amount of fruit juice you use to sweeten your coffee, reducing it progressively. With time, you get used to the new taste of your best brewed coffee. And before you know it, you just love your drink in its purest form without using any sweetener. You break the habit of using sweeteners for a healthier lifestyle. Now you know if your preferred sweetener is healthy or not. If it’s not, you’ve got many options to try out and find what suits your taste buds and works well with your coffee. Choose from fruit monk, honey, molasses, monk fruit, dates and maple syrup, including any other good sweetener I’ve discussed in this article. A couple of tablespoons full of good sweeteners is recommended for daily consumption to ensure your consumption is moderate. If you love the lifestyle of having your cup of coffee at least twice a day, you can still enjoy the aroma of your freshly-ground coffee beans in the morning and evening. Brew it just as you like it and add a tablespoon of your natural sweetener each time. However, if you’re dealing with a chronic health condition, talk to your doctor before using any of our good sweeteners. Your doctor can help you pick the right sweetener based on your health and unique needs. Either way, avoid the bad and ugly sweeteners. Choose the good sweeteners, choose good health!